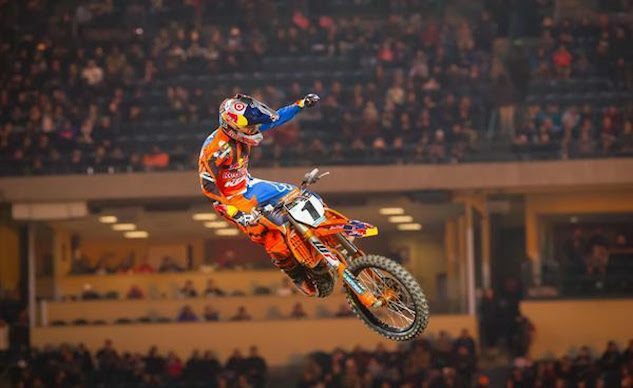 Press Release from KTM: Back-to-back reigning 450SX Champion Ryan Dungey earned his first victory of the season on Saturday as he led the Red Bull KTM Factory Racing Team to an impressive 1-2 finish at Round 3 of the AMA Supercross World Championship in Anaheim. 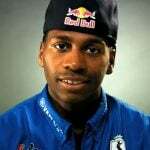 His teammate, Marvin Musquin, finished only two seconds back for 2nd, capturing his third consecutive podium finish this season. Troy Lee Designs Red Bull KTM’s Shane McElrath maintained his points lead with a 3rd place finish in the 250SX West division. 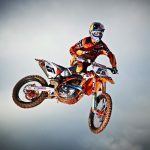 It was a rough start to the evening for the Red Bull KTM Factory Racing 450 riders as both Ryan Dungey and Marvin Musquin were forced to enter the semi-final race after experiencing bad luck in the heat races. Musquin lined up in 450SX Heat 1 where he jumped into a 3rd place position on the opening lap. However, on lap three Musquin got caught up in another rider’s crash and went down, ultimately running out of time to make a qualifying position from the heat race. Dungey didn’t experience any better luck as he went down on the opening lap of 450SX Heat 2. As a result of the crash, Dungey was unable to continue on due to a problem with his throttle body harness. Both Musquin and Dungey were seeded into 450SX Semi 1 amongst a full slate of heavy-hitters in the class. Musquin got off to a good start, eventually making his way into the lead on lap two. 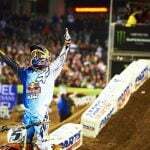 From there, Musquin held a strong pace to capture the Semi 1 win. Dungey got off to a mid-pack start but the defending champion climbed his way up to ultimately finish 3rd en route to the Main Event. Despite 13th gate pick for the Main Event, Dungey was able to get a great jump out of the gate to battle for the holeshot and assume the early lead aboard his KTM 450 SX-F FACTORY EDITION. Musquin didn’t get the best jump but he settled into the 5th place position on the opening lap. Musquin immediately began picking off riders where he put himself into 3rd place around the halfway point. Musquin was then able to get around Cole Seely for the 2nd place position where he set his sights on his teammate Dungey out front. Dungey put forth a solid performance throughout the 22-lap Main Event, where he earned his first victory of the 2017 season at Round 3, thus taking over the championship points lead in the class. Musquin captured his third podium of the season to maintain his 2nd place position in the championship point standings, where he sits only seven points behind Dungey after three rounds. Shane McElrath powered his KTM 250 SX-F FACTORY EDITION into a top-five position off the start as he battled his way through a hungry pack of front-runners. Beginning in the 4th place position, the two-time race winner engaged in a battle with Austin Forkner early on where he made the pass for 3rd place on lap five. From there, McElrath pushed ahead to maintain a solid podium position for the remainder of the race. With two wins and a 3rd place finish behind him, McElrath continues to hold the 250SX West points lead heading into the next round.